ALLOWAY in South Ayrshire will play a leading role in Scotland’s Homecoming Year, which is created and timed to mark the 250th anniversary of our national poet Robert Burns and will officially open with a weekend of celebrations in his honour. Over the weekend of 23 and 25 January 2009, Alloway in Ayrshire will be involved in part of the opening weekend celebrations that will kick off the Homecoming Scotland events programme featuring more than 300 inspirational events that connects with the year’s themes of Burns, golf, whisky, great Scottish minds and innovations and ancestry. Spanning the length and breadth of the country the programme of events has been created to encourage Scots, people with Scots ancestry and those who simply love Scotland to ‘come home’ and celebrate in 2009. South Ayrshire Council Provost Winifred Sloan attended the launch of Iconic Burns, which will be one of the highlights of the programme. Staged in Alloway, the birthplace of Robert Burns on Saturday 24 January 2009, it will see the village become a focal point for the Burns celebrations. 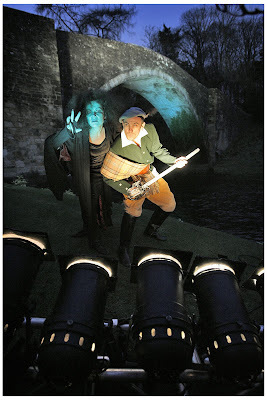 Village locations such as Burns Cottage, The Brig O’ Doon and The Auld Kirk will be brought to life in a one-off extravaganza for this special year. Some of the UK’s top lighting and design artists brought together by UZ Events, are involved in what will be a unique Burns tribute. Free tickets are available by public ballot by registering on www.homecomingscotland2009.com/ballot before 11 January 2009. Alloway will also host the ‘Homecoming Burns Supper’ which will pay tribute to some of those who keep the legacy of Burns alive today. The event, overlooking the Brig O’ Doon, will be a centrepiece for The World Famous Burns Supper Celebration, created in partnership with The Famous Grouse. Burns Suppers around the world will link up for the first time ever on www.burnssupper2009.com. The dedicated site already shows hundreds of Burns Suppers taking place around the world from the Ukraine to the USA and from the top of Canada’s CN Tower to the top of Ben Nevis. A host of other activity will be taking place across South Ayrshire including Burns Wha Hae, a weekend of performance, theatre, live music and family fun. Highlights include concerts from Martin Taylor, The Dubliners and Counselled Out, The Gaiety Theatre will host ‘I’ Robert Burns and there will be a jam packed town centre party with a fairground and family entertainment on the streets and in some of the stores. Burns Wha Hae will take place Friday 23 January 2009 to Sunday 25 January 2009. 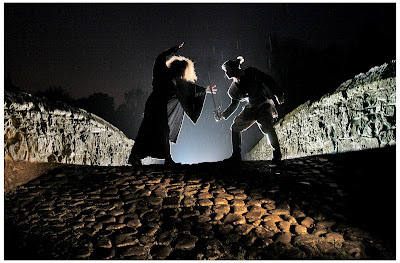 On Burns Day on 25 January 2009, don’t miss a very special event ‘Alloway 1759’ where the streets of Alloway will be transported back 250 years to the day the bard was born. Burns Cottage will be reminiscing with ‘A bard is born’, street characters will welcome you to Alloway and you can take a horse and cart ride to ‘a Star is born’ at Rozelle’ or enjoy The Tam O’ Shanter rant. Situated in the south west of Scotland South Ayrshire covers an area of 422 square miles or 1,222 square kilometres. There are rural and urban communities, which offer wonderful locations to work, rest or play. South Ayrshire has so much to offer, it is not just a place to live and work, but provides an opportunity for residents and visitors of all ages and from all walks of life to enjoy a great lifestyle. There are excellent transport connections to this area, including Glasgow Prestwick Airport with its own railway terminal, the Seacat ferry terminal in Troon, modern rail, bus and road connections which make travelling so easy. World famous golf courses, a racecourse, leisure facilities both public and private, parks, beaches and the sea offer a wide variety of ways to spend leisure time. Ayr town centre has a wide variety of shops many of which are independently owned but there are also a number of large chain stores situated in the town, eating establishments offering various styles of cuisine, a cinema, theatre and even nightclubs. Just walking around Ayr and other towns and villages in South Ayrshire is a thrill with traditional sandstone, cottage style, Georgian or Victorian houses and buildings we have very diverse architecture. Miles of unspoilt coastline provide wonderful views from many towns and villages in this area. Particularly beautiful is the magnificent beach in Ayr, with stretches of golden sand. One of the greatest assets that South Ayrshire has is the local people, known the world over for the warm welcome they give to people from all over the globe. This is one of the reasons why South Ayrshire has such a thriving tourist industry, because whatever visitors desire every attempt is made to meet their needs. There are currently 417 Ayrshire business stories permanently archived on this site. To locate those of most interest to you, please use the site search facility in the top left hand corner of this page. Type your search term in the white box, then click “SEARCH BLOG”.